Results from the first wave of the campaign showed dramatic shifts in awareness and behavior. Among the target audience, those who said they would not use meth in the future went from 74% pre-campaign to 86% post-campaign. In 2007, Message Principal Steve Caplan was Partner and General Manager of the Los Angeles office for DC-based cause marketing agency GMMB. 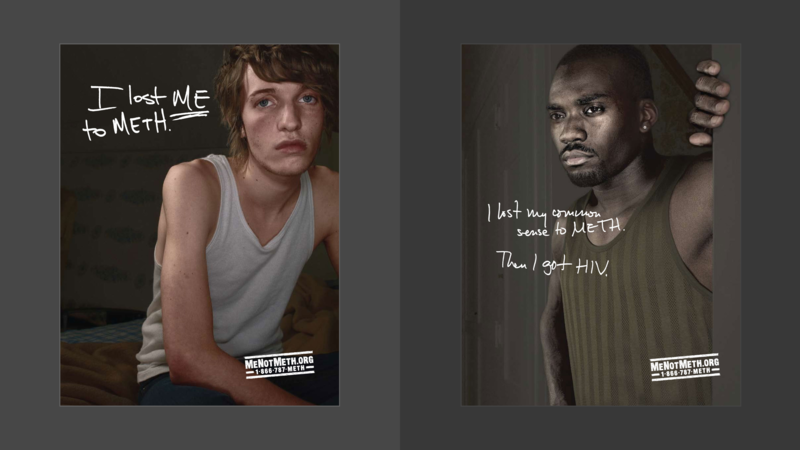 At the time, the California Department of Alcohol and Drug Programs hired GMMB to develop branding, messaging and advertising for a new effort to prevent and reduce meth use among White, Latino and African-American gay men, among whom meth use had reached epidemic proportions. After extensive research, the team developed a brand and message strategy focused on emotional messages rather than the typical, frightening anti-drug messages, and implemented an innovative media plan that reached the target audience beyond the confines of traditional media. Comprehensive focus group around the state found that gay men were most likely to use meth as a party drug—at bars, clubs and large gatherings—and for casual hook-ups that are initiated online. Beginning with TV ads placed on programming that over-indexed among the target audience, they blanketed higher-concentration gay neighborhoods with outdoor ads—on buses, bus stops and billboards—and went deeper into the community via ads in gay bar bathrooms, on bar coasters and on mobile billboards at Gay Pride events and circuit parties. Online ads were designed to look like a Web chat window and were placed on heavily trafficked sites. Results from the first wave of the campaign showed dramatic shifts in awareness and behavior. Among the target audience, those who said they would not use meth in the future went from 74% pre-campaign to 86% post-campaign. 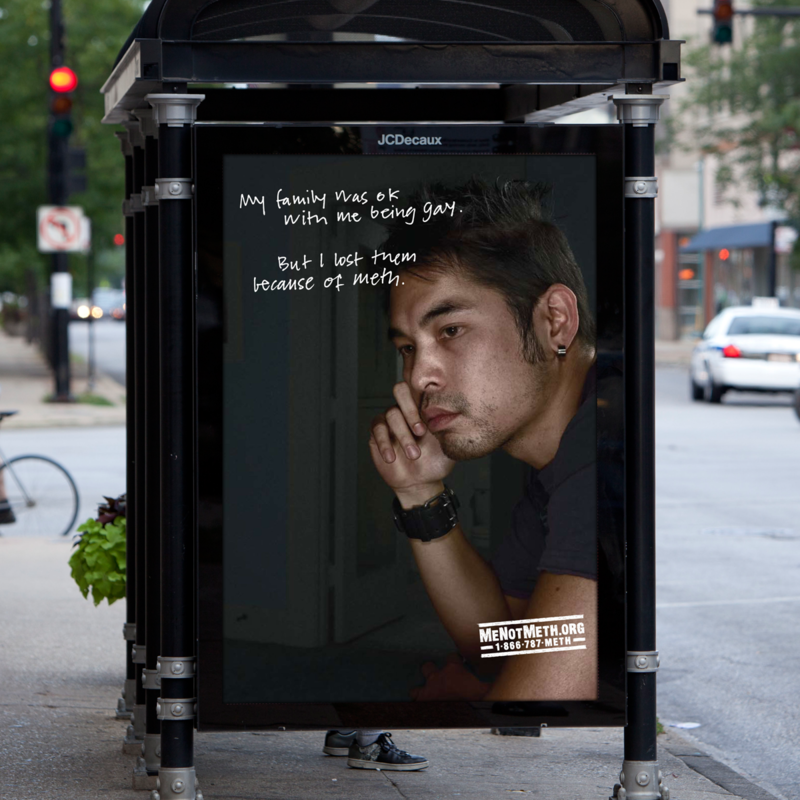 Those who saw the ads were three times more likely to say that meth is highly addictive (11% pre, 32% post). Calls to the state hotline increased more than 600%, and 16,000 unique visitors visited the web site in the first month of the campaign. 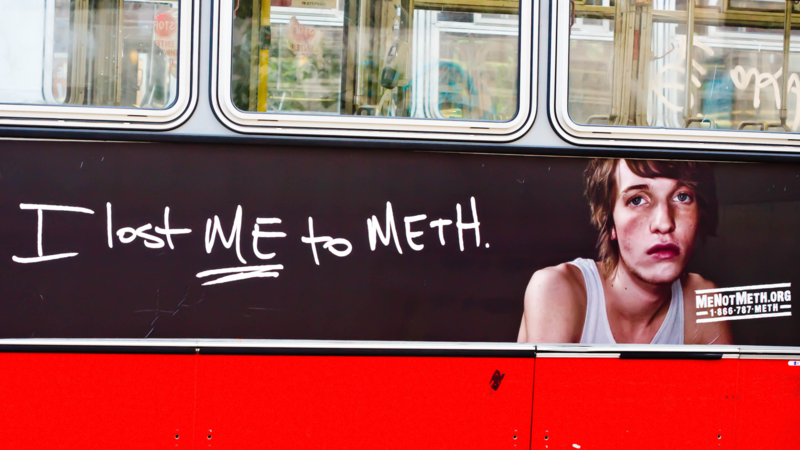 Because of the non-traditional media engaged in the campaign, 80% of the target audience recalled seeing a “Me Not Meth” ad. "Results from the first wave of the campaign showed dramatic shifts in awareness and behavior. 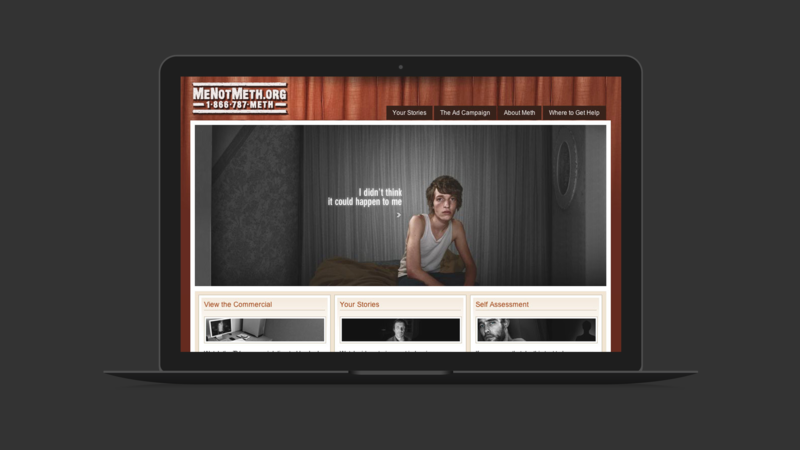 Among the target audience, those who said they would not use meth in the future went from 74% pre-campaign to 86% post-campaign."